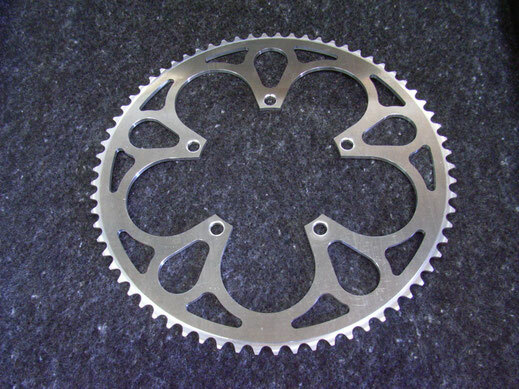 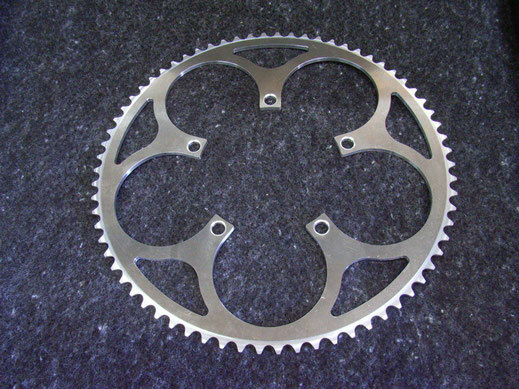 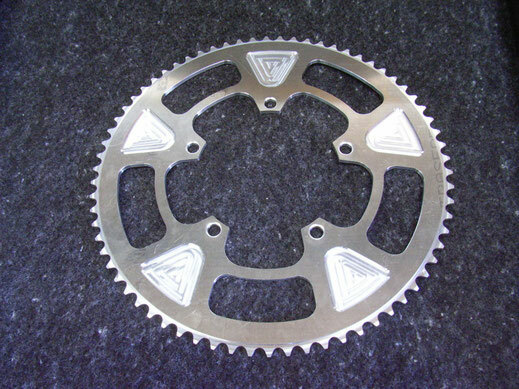 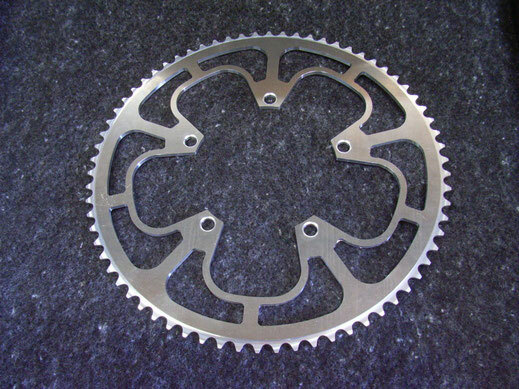 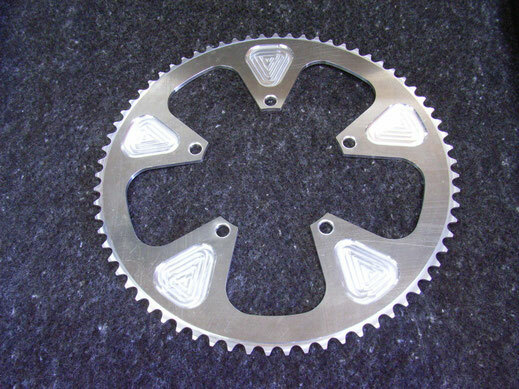 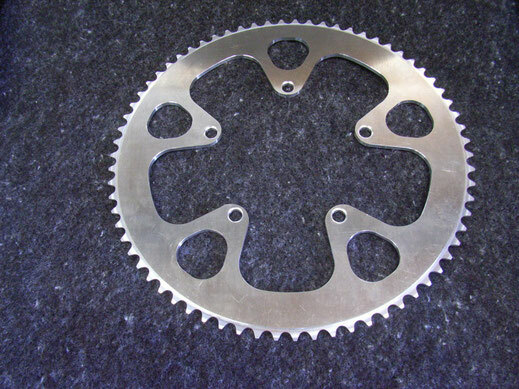 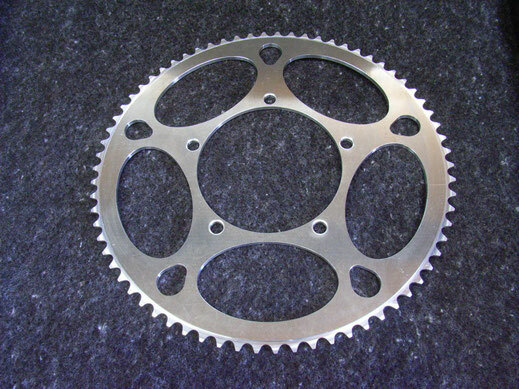 These larger sizes have come about from being asked to cut a lot of chainrings over the years in higher tooth counts. 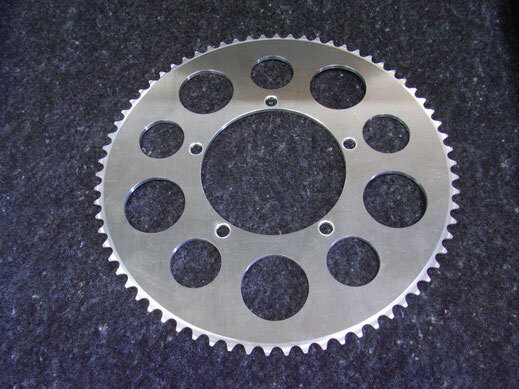 The designs start at 60t and go up to 96t. 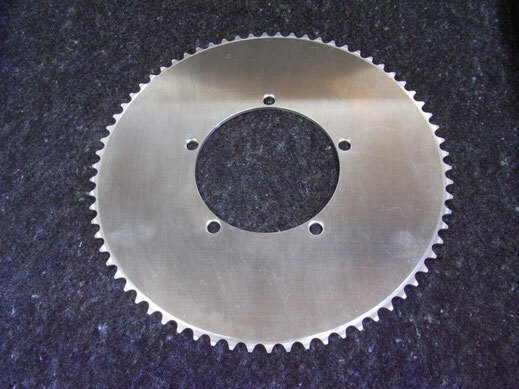 The proportions and details are suited to larger sizes. 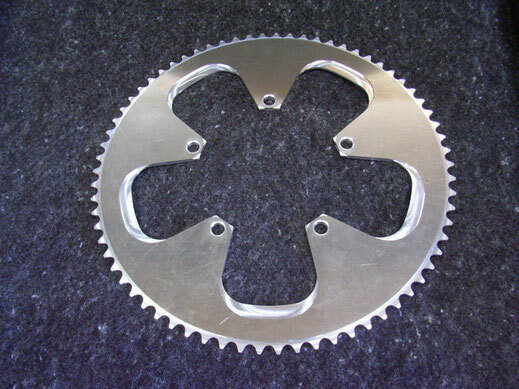 I can also cut larger sizes in The classic Twelve designs, but a lot them start to look a little out of proportion as the sizes go up. 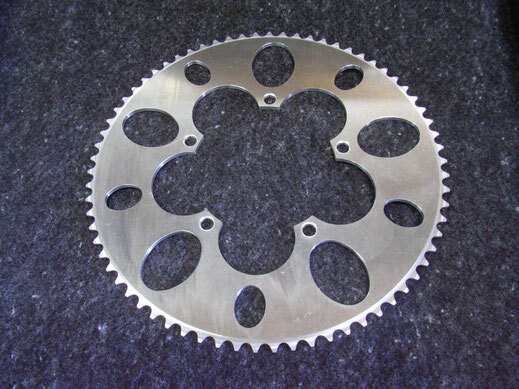 If you need to have a chainguard installed on these, I can slightly modify the outside of the design and machine threaded holes to accept an custom chainguard. 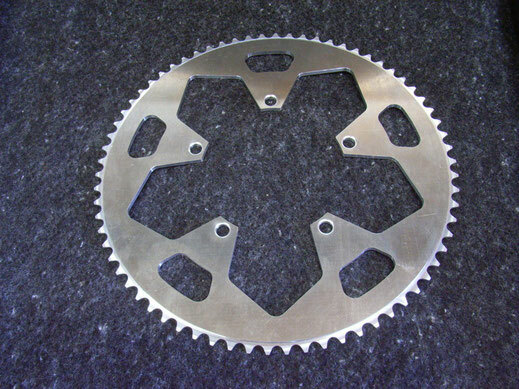 This guard can be made to either fit the outside of the chainring or both sides of the chainring.